I think Elsa Clair expresses what a lot of us are feeling. But hiding doesn’t help, unless you’re a cat. Get up, get moving, get to work. Make a difference. 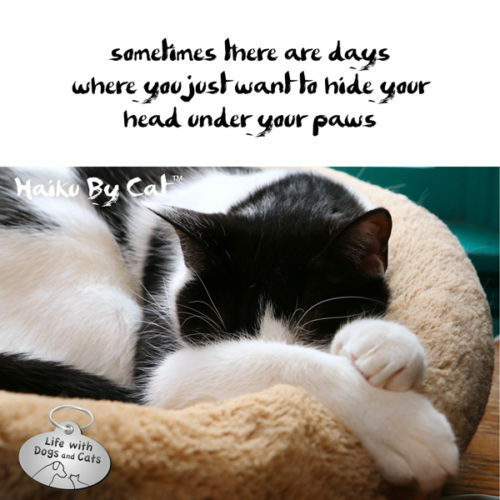 4 Comments on "Haiku by Cat: Sometimes"
Yep, especially a rainy Monday like today.